Zillow Value is $297,756, List Price is $293,000! Walk To Birkdale Golf & Village. Desirable cul de sac location near shopping, restaurants, movies. Can be sold Furnished. New roof w/warranty, dishwasher 2017. New hvac, new garberator, interior paint, carpet 2018. Relax on Rocking Chair front porch. Enter to beautiful hardwoods on entire main level. Brand new carpet on stairs and 2nd floor. Neutral fresh paint on clean walls. Awesome closets. Washer Dryer Fridge and all Furnishings available with acceptable offer. Stainless, granite, back splash, walk in pantry. Master ensuite with awesome private bath, double walk in closets. 2 Additional spacious bedrooms. Privacy in the back yard is amazing,extends past park bench. Huge private lots in the culdesac. Low HOA fee's. Easy to maintain exterior siding. 2 Miles to I-77. 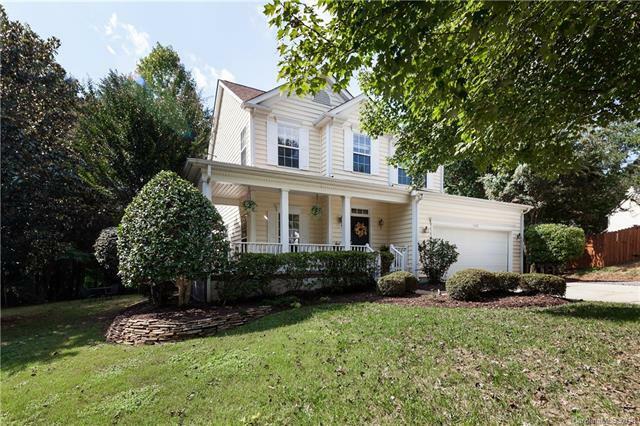 Less than 2 miles to Lake Norman access in Blythe Landing. Excellent opportunity to be in Birkdale Area. Excellent Schools, Shopping & Local Amenities.